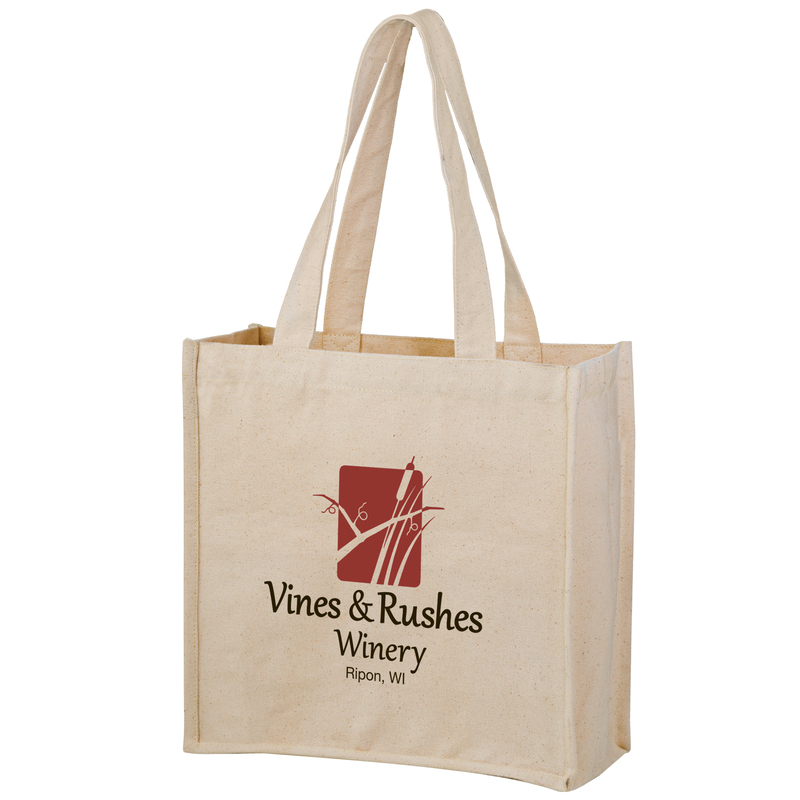 Cotton Canvas Wine and Grocery Tote Bag with 2 sewn-in Bottle Holders (Poly Board Insert available as add-on). Heavy-Duty 14 oz. Cotton Canvas | 22″ Handle. Screen Print. 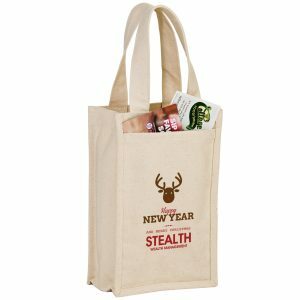 Heavyweight Cotton Tote Bag With 2 Bottle Holders are a Cotton Canvas Wine and Grocery Tote Bag with 2 sewn-in Bottle Holders. Constructed from Heavy-Duty 14 oz. 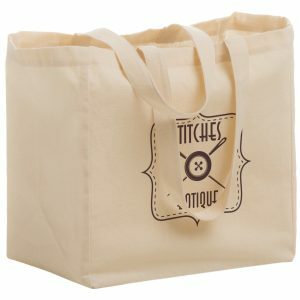 Cotton Canvas, these wholesale reusable bags are affordable and stylish. See other great cotton tote bags we offer here. Promotional products are beneficial for many reasons. They can take your next marketing campaign to new heights. They will allow your business to achieve the success you are looking for. 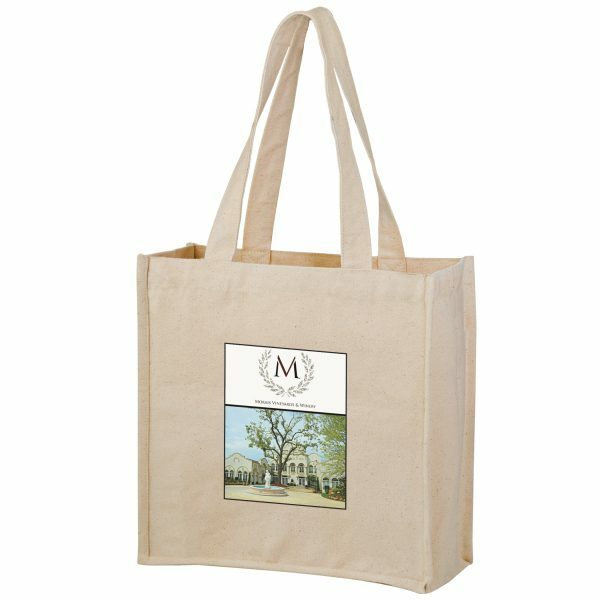 Custom eco friendly shopping bags such as these cotton tote bags are a great option to choose from. They’re great for customizing with your company logo. They are also affordable and great for the environment. These products are an effective promotional marketing tool. Call us for pricing on any of our cotton or canvas tote bags. 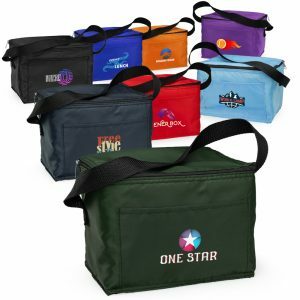 Choose from other promotional products for your company here at customgreenpromos.com. Call toll free at 888-565-2235 for pricing on any of our products including our wholesale custom cotton tote bags and canvas bags. Our sales staff is here to assist you with any questions you have for all of our items. They are friendly, experienced, and have the know how to handle any questions you have. Don’t hesitate to call us today. At Custom Green Promos, we feel it’s important to treat you as the client with the respect and attention you deserve. Give us a call today. You will certainly be glad you did. 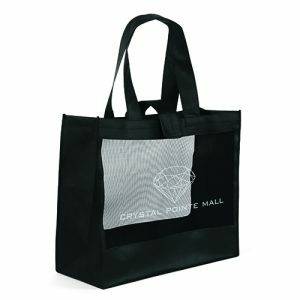 This bag is available with a poly board insert for the bottom of the bag at an additional cost of $0.30 per bag. The insert is made out of recycled plastic. Please order separately and we will slip one in each bag for you. You’ll need to add 3 lbs. per 100 bags to the case weight if ordering inserts.